The TagMaster XT-1 Reader is designed with a unique combination of high quality components and a competitive price, which makes the XT-1 the most innovative reader in the market. The XT-1 can be integrated into your existing access control and facility management software, to create a total solution designed to meet your unique needs. 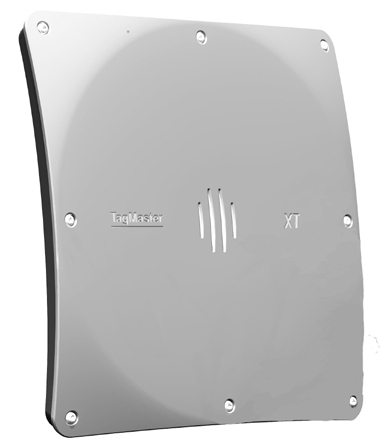 The XT-1 is an �All in One� reader with integrated antenna which makes it easy and quick to install. The built in Ethernet switch makes it easy to connect multiple readers which makes it possibly to use software for multi-lane analysis and antipass-back functionality. The XT-1 has extensive varieties of interfaces, besides Ethernet; RS232, RS485 and Wiegand/Magstripe. The XT-1 has quick configuration for the most common access control systems such as Paxton, RCO, Siemens/Bewator and Assa Aboly. The unique DNA of TagMaster products is characterized of long read range, long product life time and low cost of use. Its weatherproof design, with IP66 rating, ensures that the reader is an excellent choice for outdoor use as well as for indoor use. The TagMaster XT-1 is fully compliant with the EPC Gen2 (ISO 18000-6C) standard and reads all passive ID-tags compliant with this standard. The XT-1 includes TagMaster�s SecureMarkID IDTag format, which is developed to ensure that each UHF ID-tag has a unique identity which is difficult to duplicate. The XT-1 combined with SecureMarkID ID-Tags provides a higher level of security.